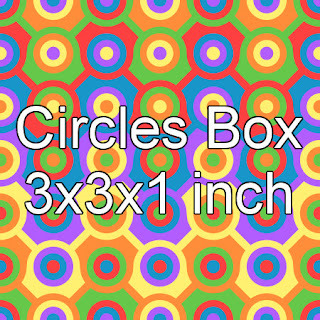 I hope you enjoy this printable geometric rainbow colored circles box. 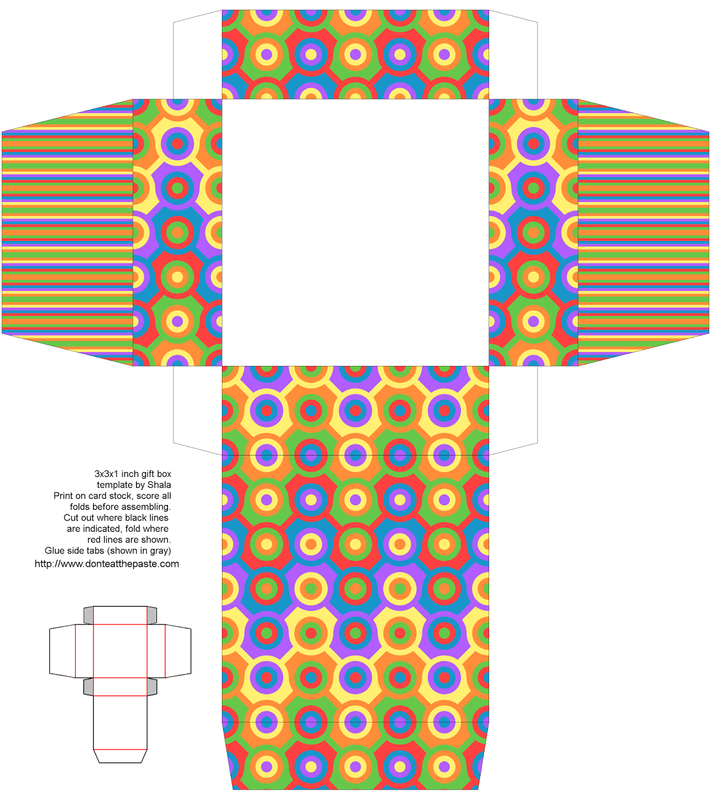 The pattern occurred to me while I was reading a sword and sorcery adventure novel (I love Simon Green, it's one of my secret guilty pleasures) and worked out just right on the first try for the 3 inch repeat with the colors. 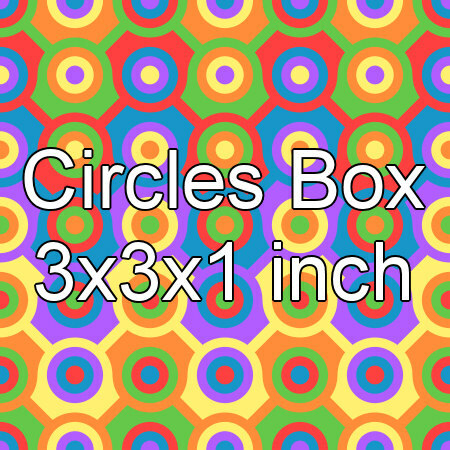 Currently (9-19-2013 to 9-25-2013) voting in Spoonflower's geometric contest. 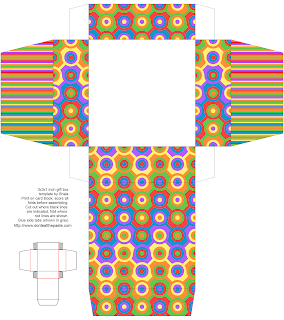 I'd love to see this pattern made into shoes if you want to vote for me, but there are a ton of great designs to choose from and you can vote for all of your favorites by signing into your Spoonflower account. Click on the image for a larger version, print on card stock, cut out, score folds, fold, glue! 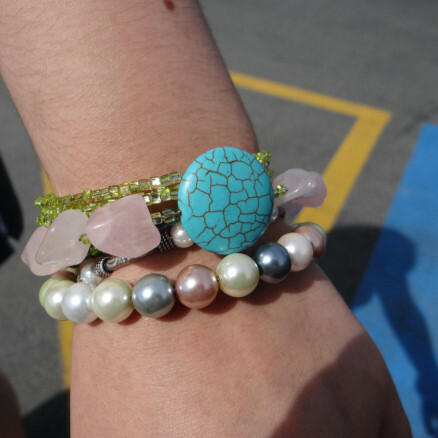 You can find instructions for this faux arm candy memory wire bracelet HERE. It's super easy and a great way to use leftover beads from other projects.